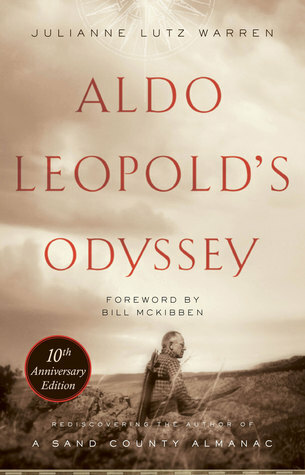 As the son and brother of avid bird watchers and a weekend watcher myself, this sounded like a really interesting book. A variation on the bird-watching theme … a search for … or a ‘love affair with’ extinct birds sounded like a really fascinating take on the bird-watching craze. The appeal is part bird-watching, of course, but there’s also the historical and paleonotological aspects. Author Hollars does a nice job of bringing the extinct birds to life (so to speak), but rather than a love affair with extinct birds, as the sub-title states, Hollars focuses in on just a couple and really, he might have made a better case for a book about his obsession with the Ivory-Billed Woodpecker. It seems like we shouldn’t dislike the book for what it’s not, but for the millions of people who enjoy bird-watching, and hence preserving the existing birds for future generations to enjoy, a tale about the extinction of specific species … from someone who hasn’t developed the same appreciation for the living birds … feels so hypocritical. What experiences have you had that suggest you can now lecture to those who have spent years tracking and searching and enjoying rare birds? When Hollars decides to focus on his obsession with the Ivory-Billed Woodpecker the book becomes clearer and the bird watchers who are reading can begin to understand and see the change in a non-bird-watcher to becoming a fan of birds. It’s a different path than most take, but the similarities are there. Holding that bird, I’m faced with a complicated feeling—part joy, part grief, part something bordering on the sublime. And it’s my inability to give it a proper name that makes the emotion even more powerful. This is my moment of quiet reckoning, my real-life anagnorisis. I’m in love with a bird, I realize as the camera clicks. But I’m also mourning the bird that I love. And this, is what Hollars has been leading us to. That moment of discovery that there is something special about birds. For Hollars it comes with a bird that it is extinct. For others it might come with the first time they see an Oriole, or the Calliope Hummingbird or some exotic, lost traveler. But every birder recognizes the moment. And while there was a fair amount that was interesting here, the over-all impact of this book doesn’t live up to what the title and synopsis suggest. Looking for a good book? 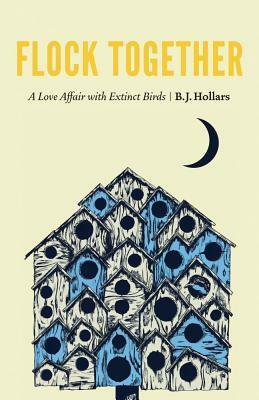 Flock Together by B. J. Hollars wants to be a about a love affair with extinct birds, but it doesn’t quite manage to get there, though moments of the book shine brightly. *Quote taken from an advance reader copy and may not reflect the final, printed book.